 The ECM ens. 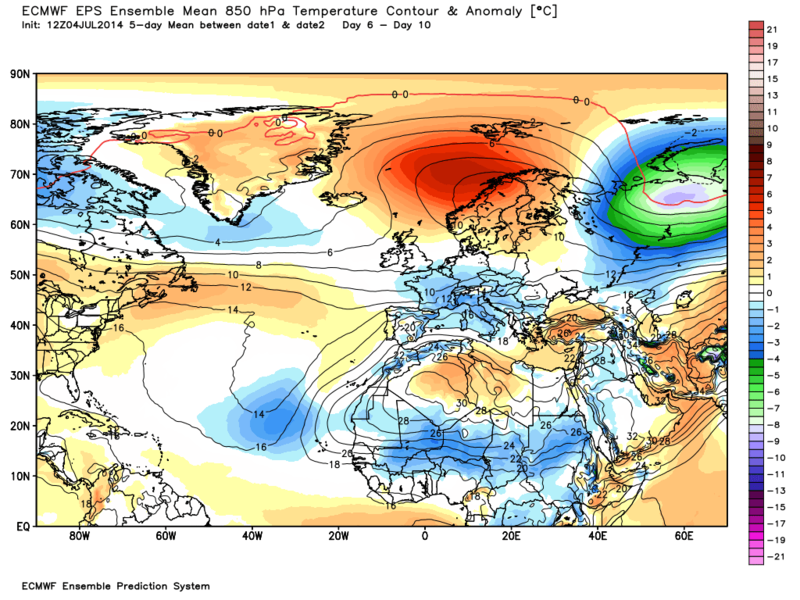 The 500mb anomaly has a swathe of warm air Greenland to northern Scandinavia with the trough south of this over the UK and a significant cool area eastern Europe. 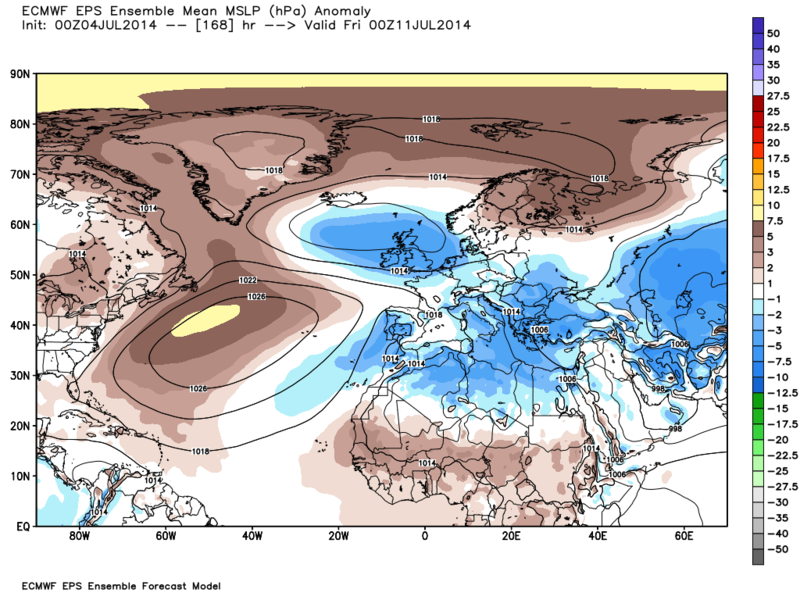 Thus still cyclonic over the UK with quite cool air that includes n. Europe. 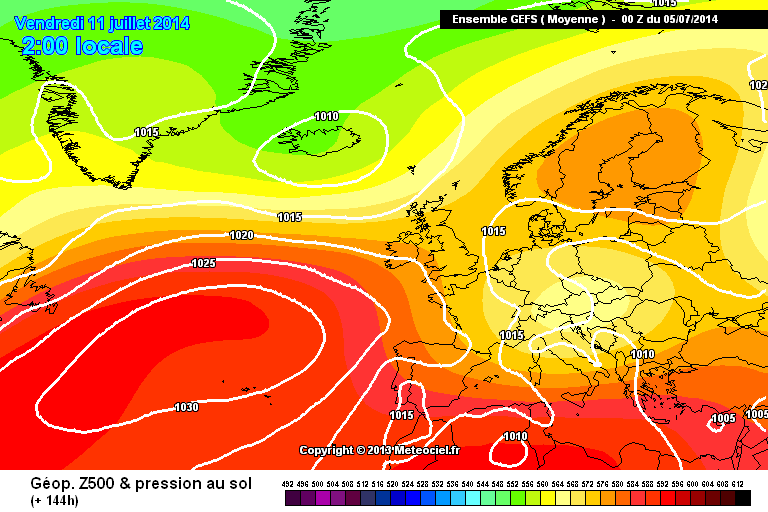 The GEFS from the 0z had trended towards the ECM op and it comes as no surprise that the 06z represents that cluster. and well tbh there has not been along with these which i think are the more preferred ? 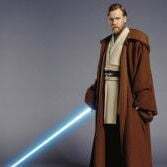 PS Ignore the last part on my post from this morning for early next week those charts are from June 6th still awaiting the charts from t06 to t72 to re appear after 4 weeks and counting. Could a mod remove the charts for Monday and Tuesday next week which have the temps and rainfall? 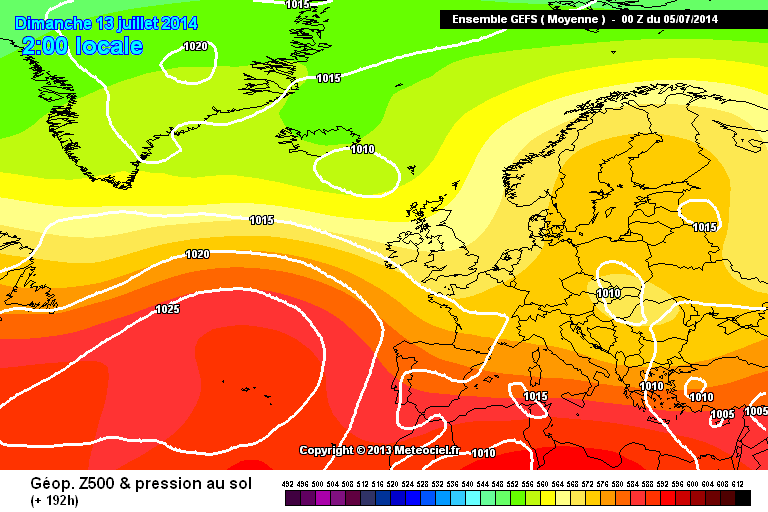 Whilst the end game might be similar, the route taken by the GFS is completely different to the ECMs story of stalling low heights in the north sea which brings unsettled conditions all of next week. 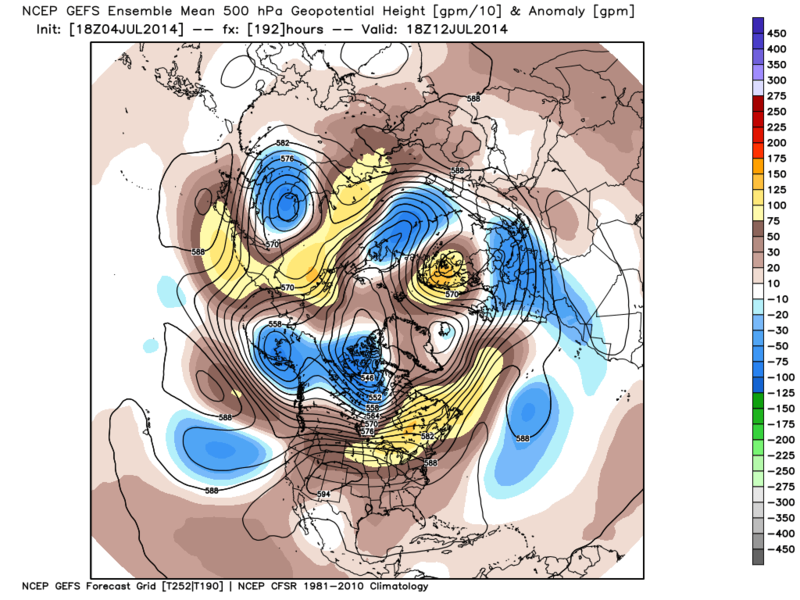 That next shallow low looks lie another troublemaker for the models. 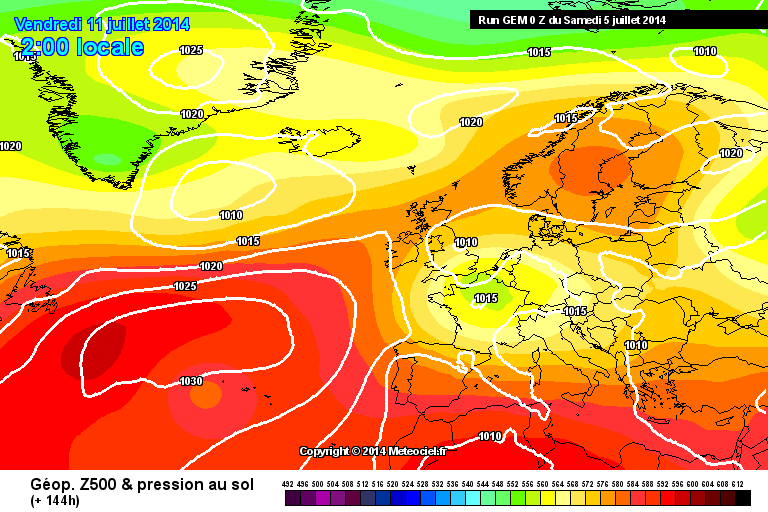 That does on the other hand have the chance to drop west of the UK and perhaps pull up a southerly flow. 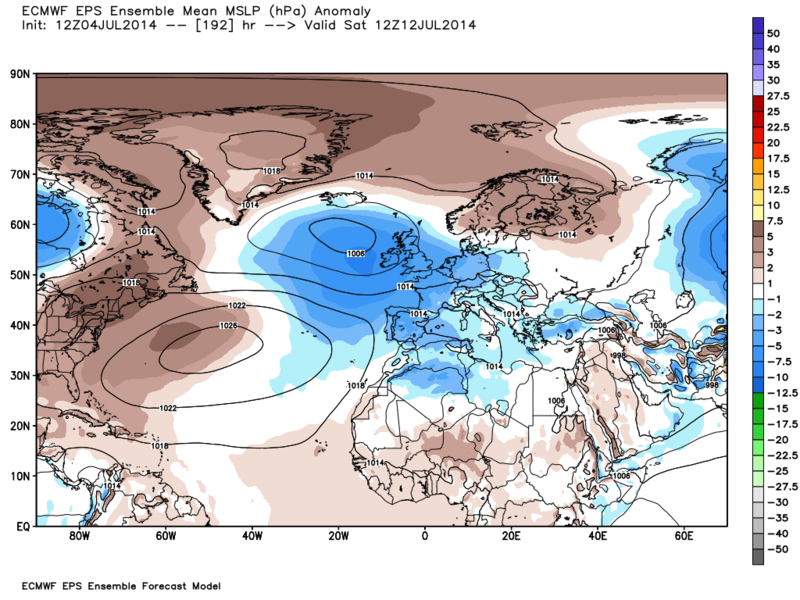 Gavin, you can get the 06 to 72 hour UKMO runs here - the charts update later than we are used to on WZ and Meteociel. Yes at D6 I try to divide the GEFS into synoptic pattern(s), not too concerned how they get there in such a complex scenario. 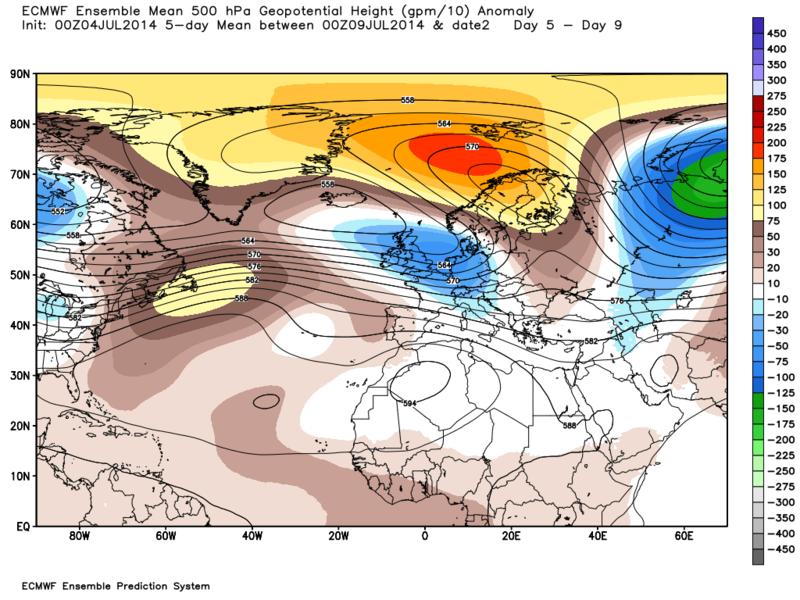 The GEFS are showing two main outcomes; tentative ridging from east and west settling down the UK or the trough being sustained by energy from the Atlantic. How we get to either may not be resolved soon due to the added variability of the ex tropical storm heading towards Greenland. Differences in how the GEM and GFS handle the residue energy from Arthur as it interacts with the trough seems to effect the longevity of the latter and how active it is. So yes inter and cross model lots of changes but the overall long wave pattern for next week looks like one of two possibilities. In the interim we have lower heights over the UK for at least 3-4 days. 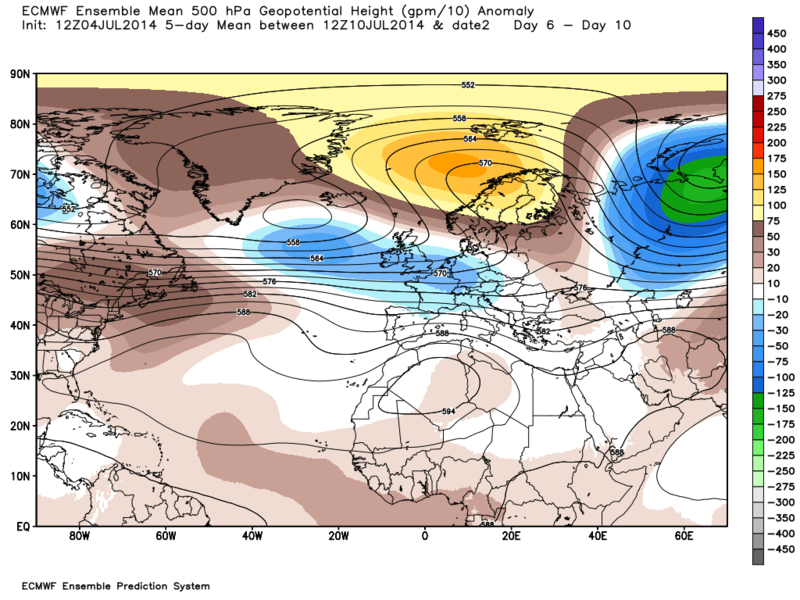 Lat nights 500mb anomalies for next weekend are not in complete agreement apart from the fact that is a trough around the UK stretching from Greenland and warmer air the the N/NE and minimal influence from the Azores high. 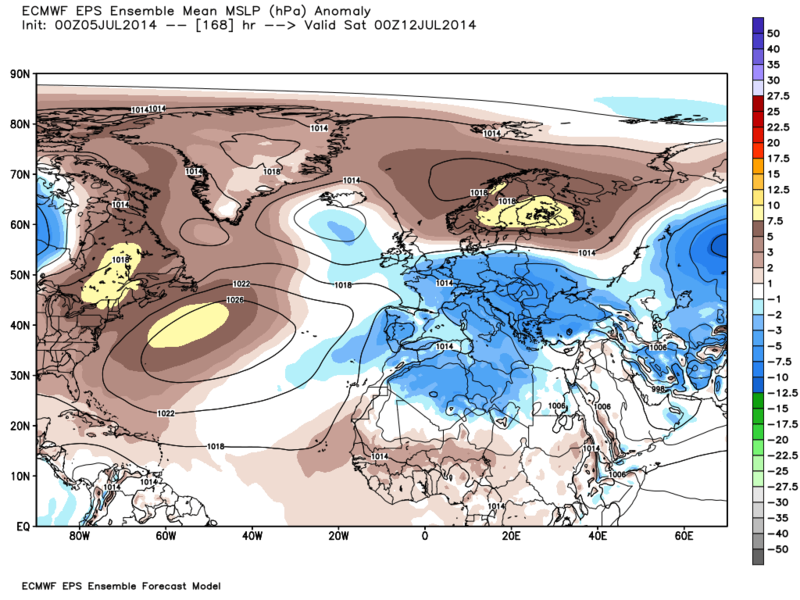 The 8-14 NOAA weakens the trough but no indication of any major change from the westerly Atlantic scenario. My reading of this could be incorrect of course. As far as the ECM is concerned this boils down to a large cyclonic area eastern Atlantic with average temps over the UK with the warm air ridging over Scandinavia and the Azores high shunted SW and the jet supporting this scenario. Basically not much change. 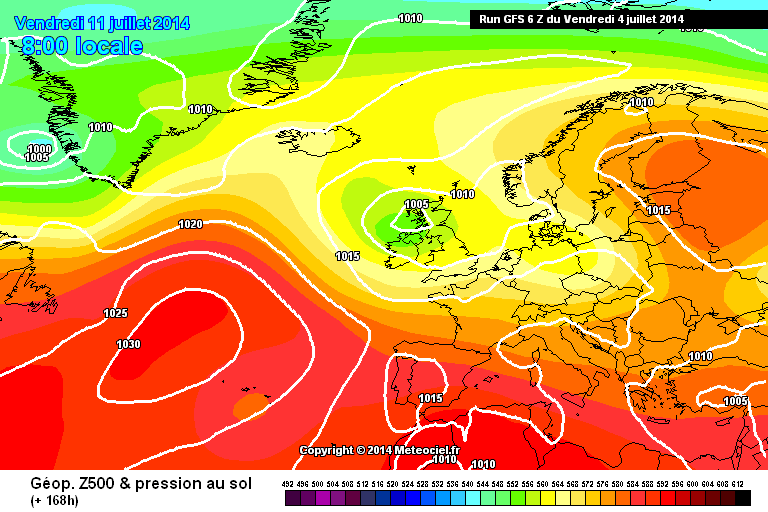 Well unusually for the ECM, it looks like it was over doing the cold pooling even in the reliable time frame. Now moving away from a more widespread unsettled spell. 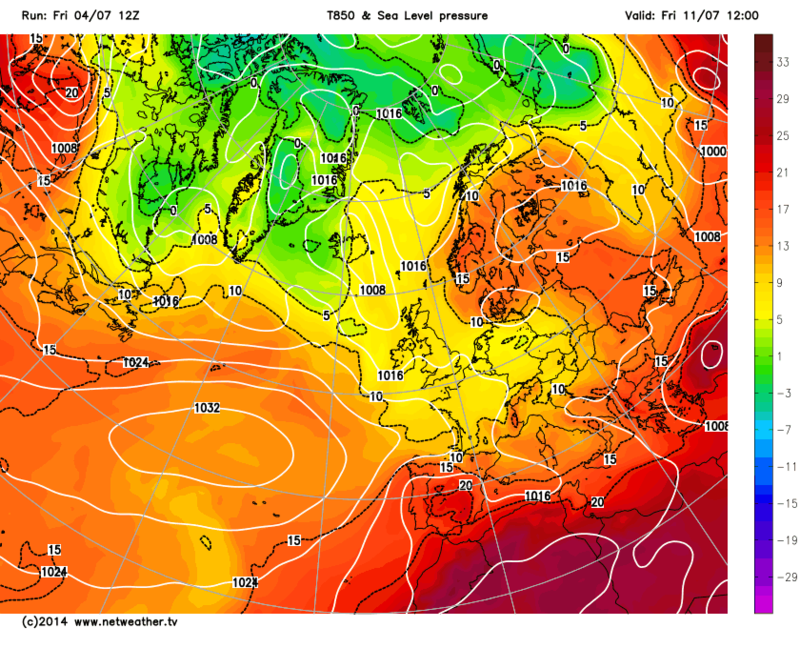 General consensus is that low pressure will be close enough to bring rain to the south east, though the rest of the UK looks like turning drier and increasingly warm from mid week. The question is will the low be that close to the UK on these days or will the models weaken it further and place it further away from the UK. The Atlantic continues to look weak. Indeed, we could quite easily see the opposite to the week just gone with the south east seeing the worst of the weather whilst the further north and west you go, the better conditions will be. 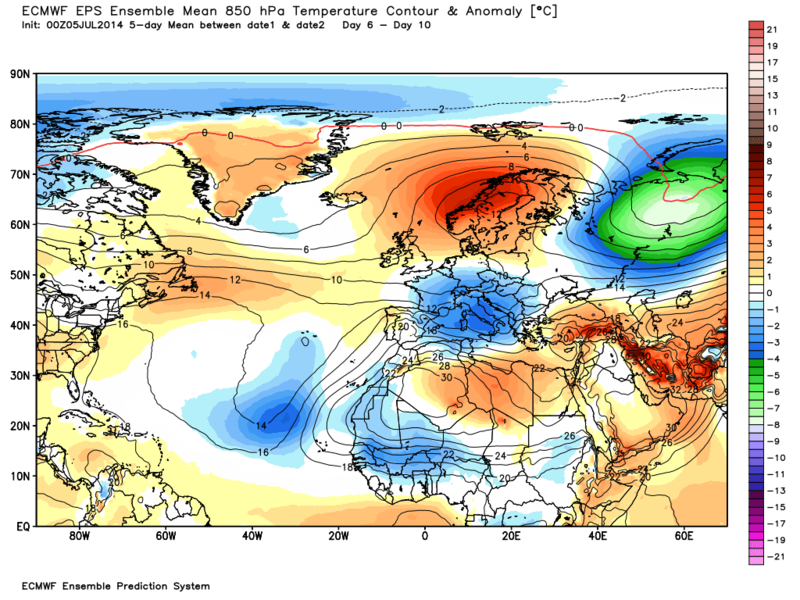 Going for a Euro/Scandi block into week 2 with conditions becoming very warm, a lot better than recent ensemble suites. Lets hope this starts to trend over the next few days. 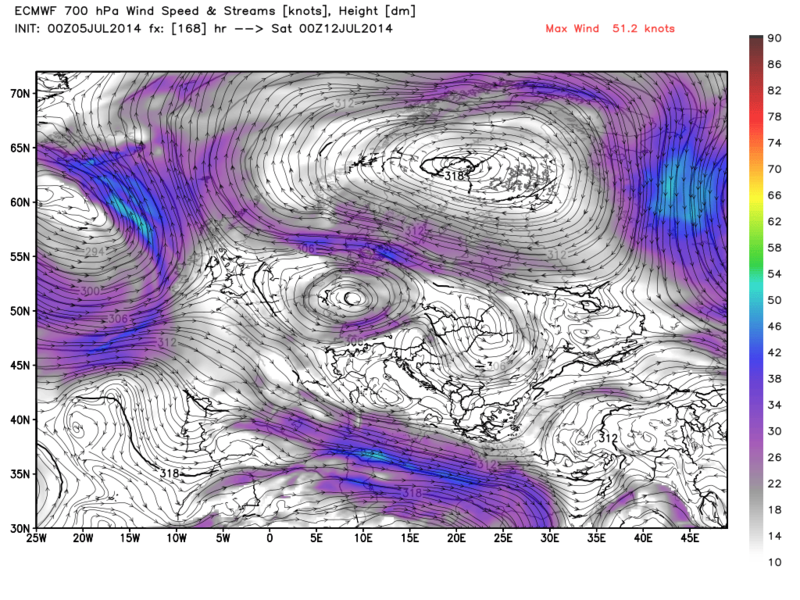 GFS not particularly interested at the moment. 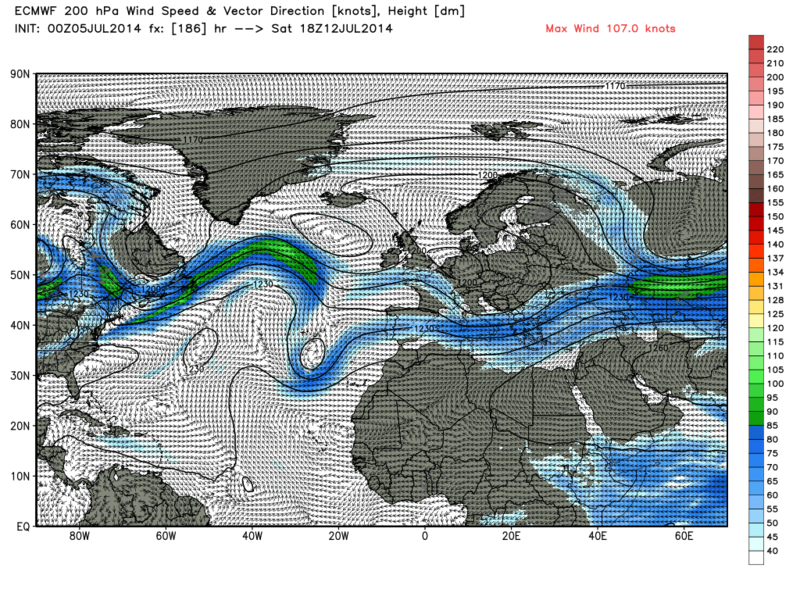 Gav, that ecm chart is shaded windspeed, not precip. And knocks, whilst the surface temps on the continent are below average, they would still be decent from a nw european perspective. The air to our east looks warm but we run the risk of some sig precip with pressure never very high and an upper trough not far away. Gav, that ecm chart is shaded windspeed, not precip.And knocks, whilst the surface temps on the continent are below average, they would still be decent from a nw european perspective. The air to our east looks warm but we run the risk of some sig precip with pressure never very high and an upper trough not far away. Yes I agree b. Didn't want to attempt detail at this stage but as you say there could be some significant rainfall depending on where the synoptics finally settle. Quite interesting. 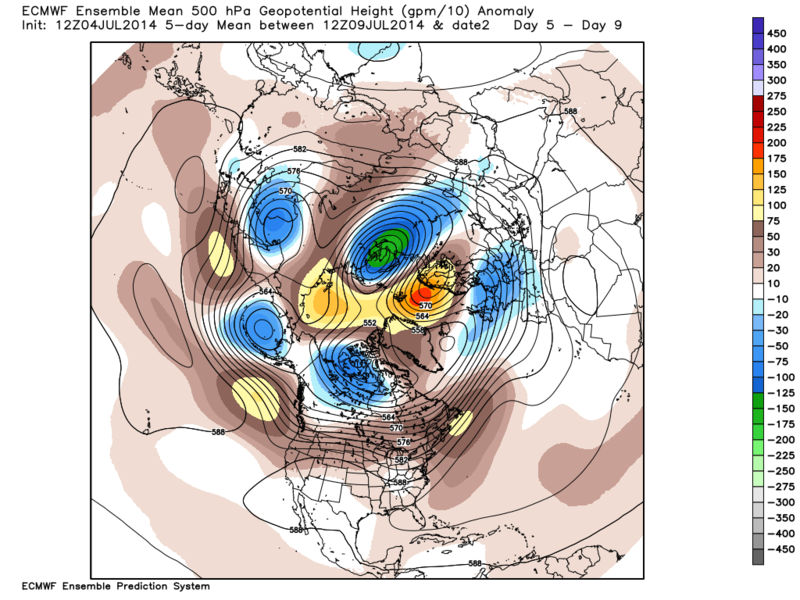 Intriguing 700mb pattern. About 20% of the GEFS still have the trough more active at D6 (a la ECM yesterday) but I think the tide has turned. The GFS 06z op has the ridging from T90 to T156 so next Friday showing as another 25c day preceded by two dry average days. 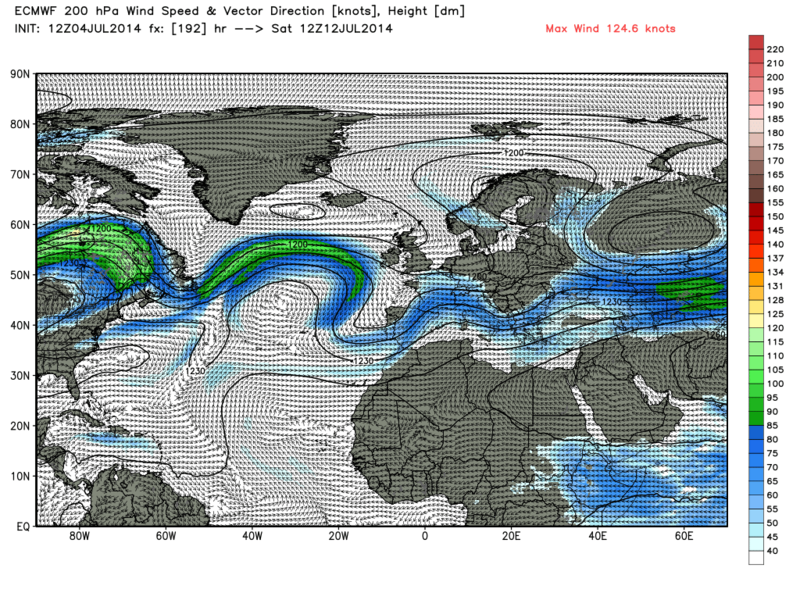 The trough is back till T216 before further ridging from the Azores. An east west split for FI with LP never far away to our east and the Azores trying to spread up from the SW. 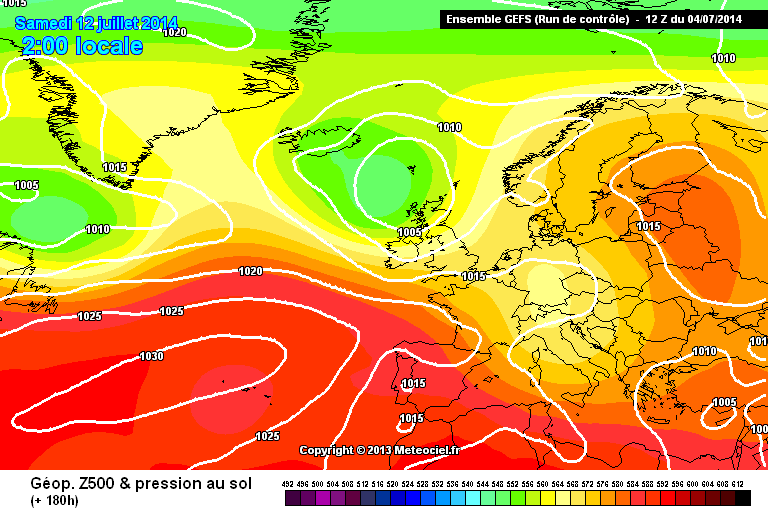 So still no sign of a UK high in situ, just a continuation of the cyclic summer we have had so far. So above average temps for most (CET for June was +1c) with rain mainly as showers with frontal rain relatively quiet. So far so good. 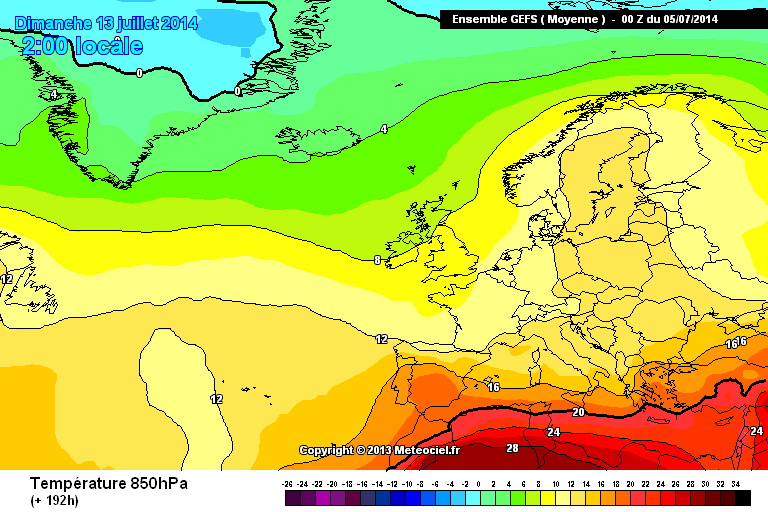 Ensemble means at T192: ECM and GEM favour a Scandi ridge, GFS less so. 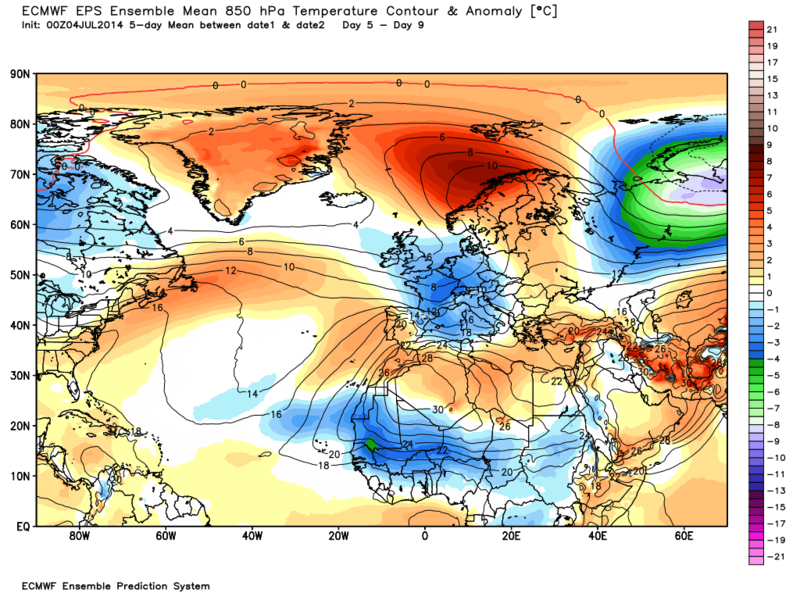 Avid model watchers would probably agree that ECM has to be favoured over GFS when it comes to modelling High Pressure over Scandinavia, so I think our weather for D8 onwards will be decided by whether there is a Scandi/Azores High link-up (potentially hot), and the depth of any troughing between the two highs (could be cool and rainy if centred over the UK). 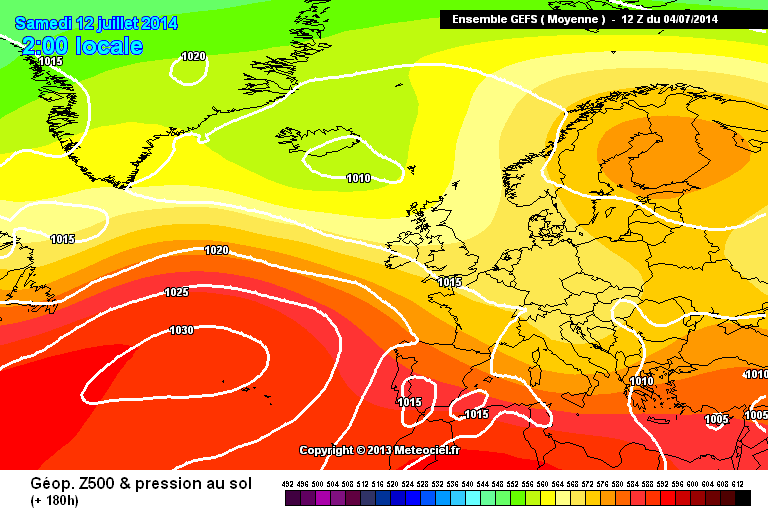 So all in all, no clear signs for settled or unsettled in the mid-term, though perhaps favouring settled conditions ever so slightly as we go into the following week. GFS the odd one out this evening with its midweek Azores ridge with the UK looking to be in the firing line for troughing thanks to strong heights to SW and NE. 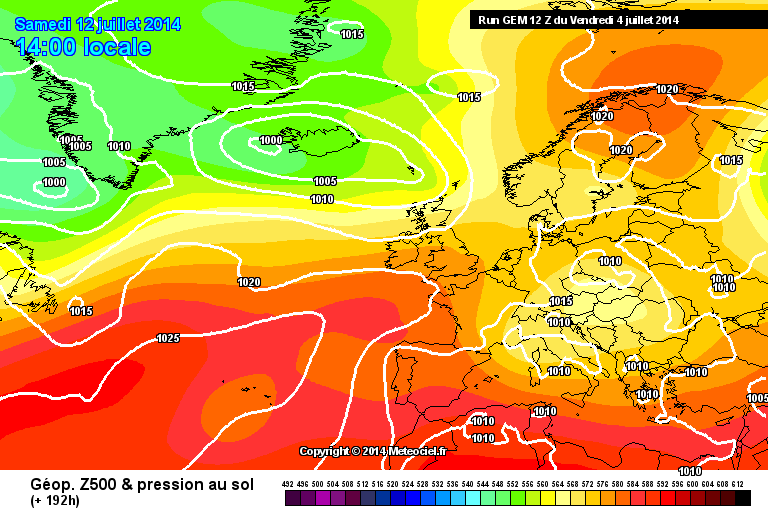 ECM has a fairly messy outlook in the latter stages with winds tending to come from an easterly direction. 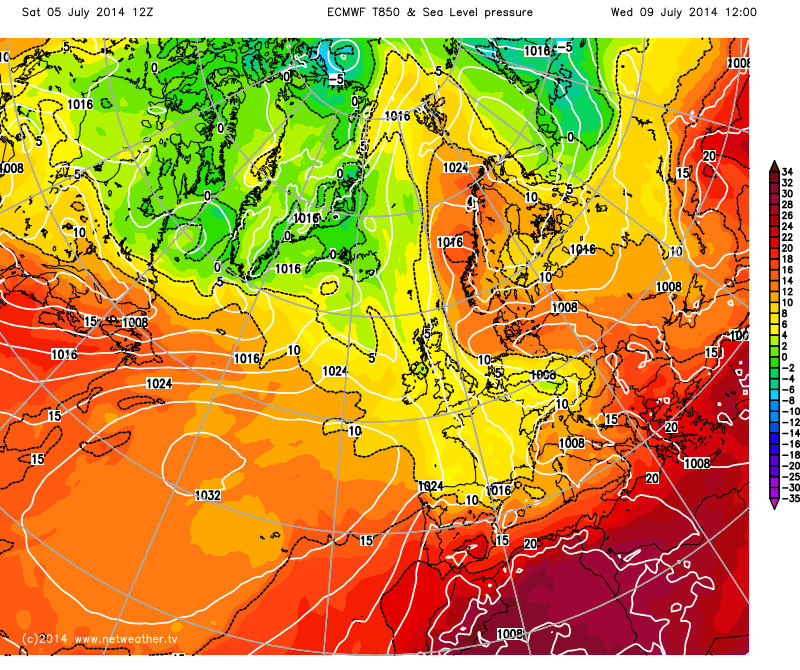 Despite the chart at T+240 looking quite cool it still has 10c 850hpa temps spilling down out of Scandinavia. 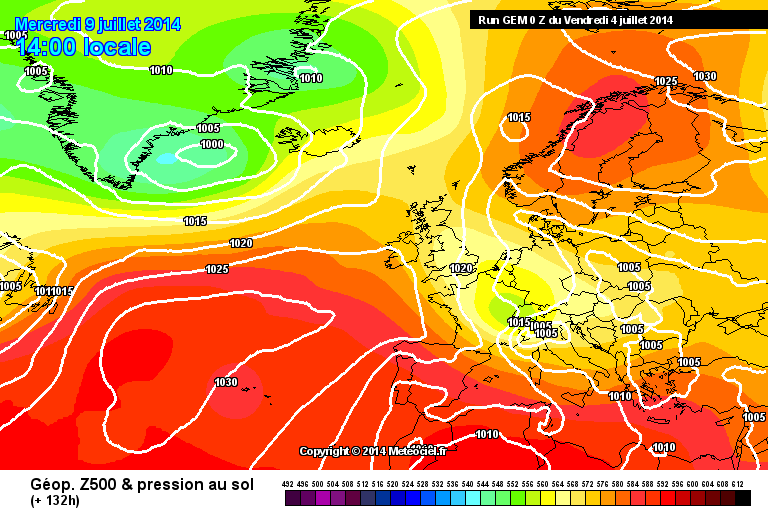 The possibility of rain coming from the east around midweek needs watching closely though. By this point, the attempt to ridge the Azores HP across the British Isles to link with heights to the NE has failed and the trough is gearing up. 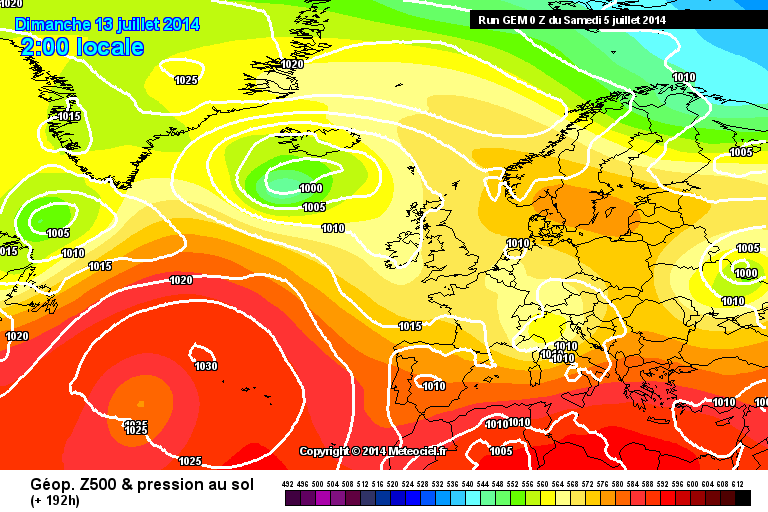 GEM doesn't end well for those wanting heat and settled weather. GFS 12Z Operational at the same time offers a more settled picture especially in the south with some limited linkage of heights but that too soon collapses as LP takes over and only in the darkest recesses of FI is the Azores HP able to throw another ridge back across the British Isles. Hugely different from GFS at the same time with the trough already in control and the SE in particular looking unsettled. 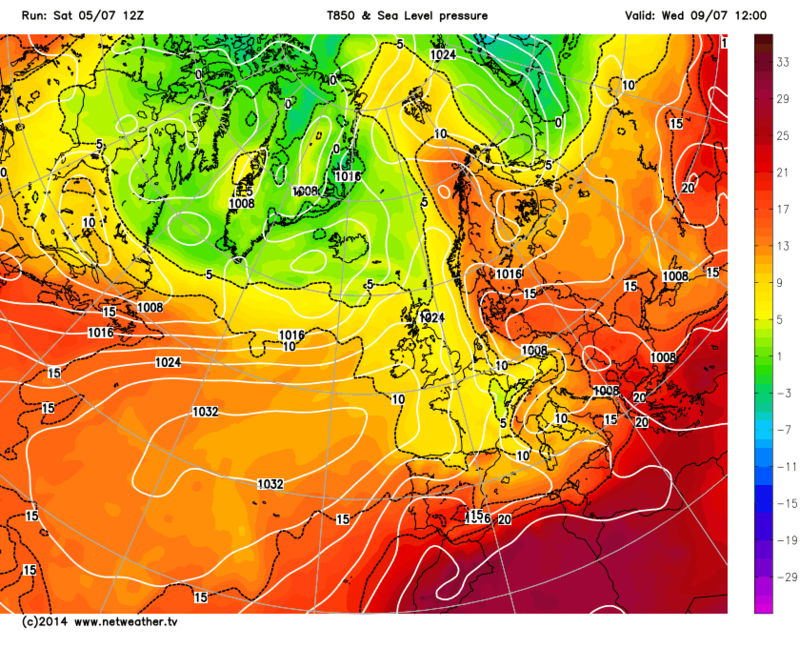 Interesting to note the 850s don't scream cool at all - in fact, it could be quite warm and humid at times. 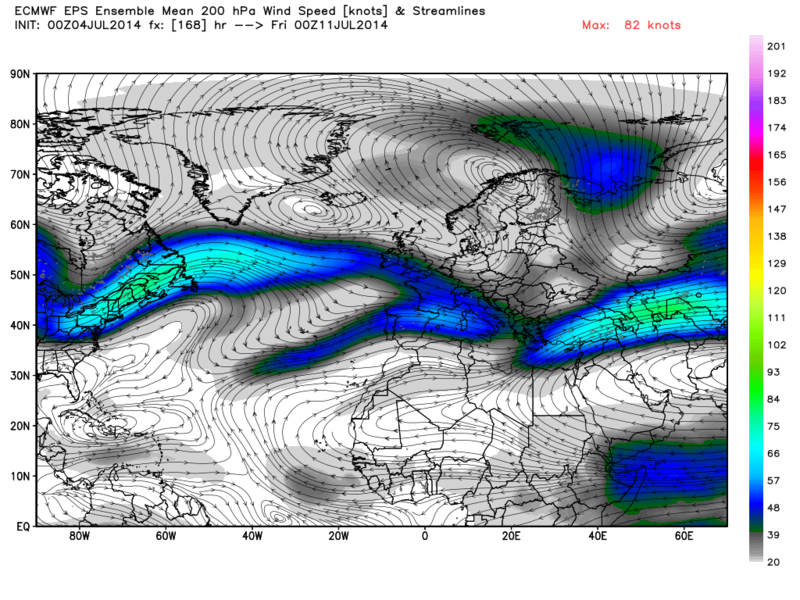 JMA 12Z - the trough pretty much has won this war and unsettled weather is at hand. 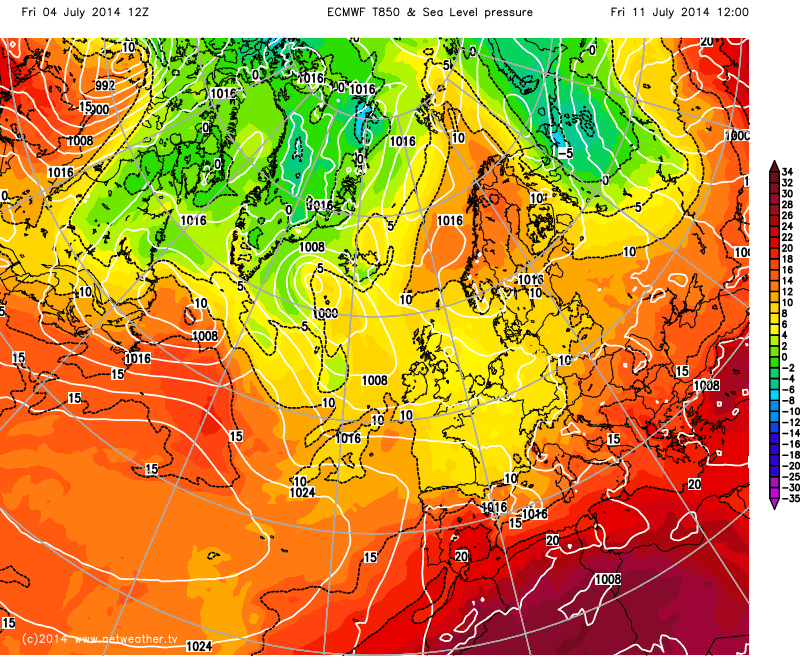 UKMO 12Z - fantastic for hot, settled weather - IF you are in central and northern Sweden and Finland where temperatures will be in the mid to high 20s by midweek. 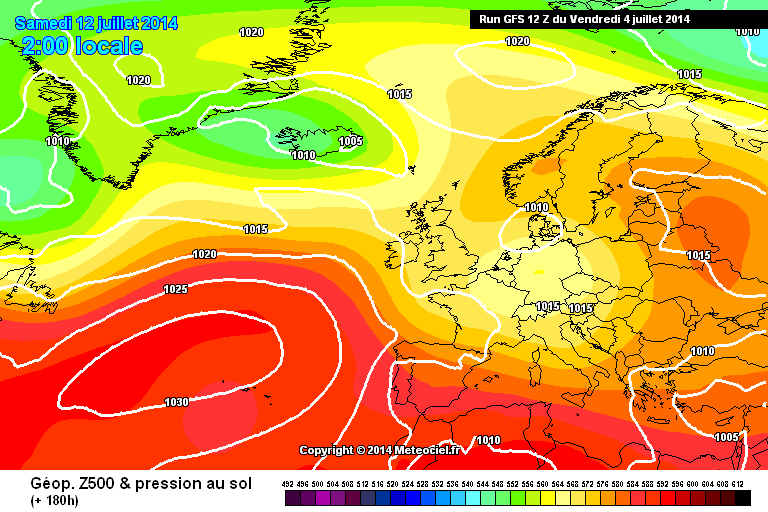 The GFS has been very consistent with it's modelling for next week. 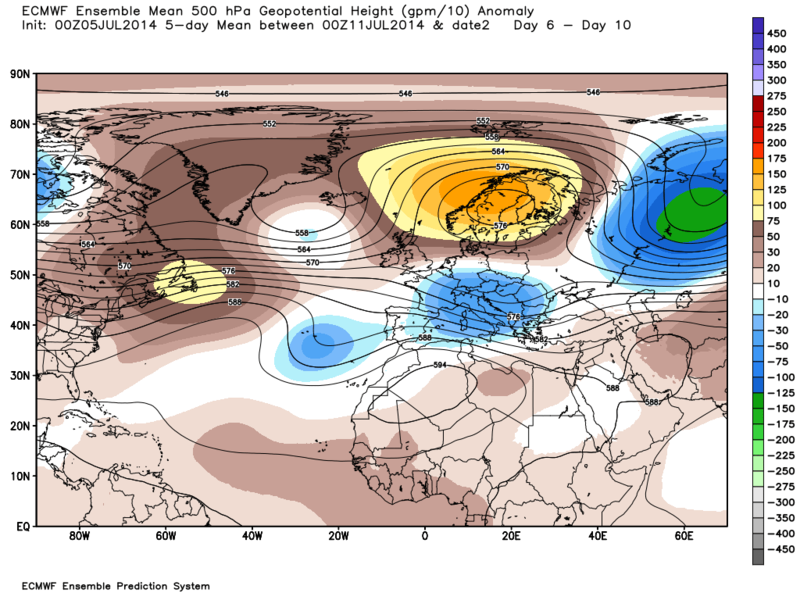 Azores high ridges in and sends low heights packing into central Europe with dry and increasingly warm weather developing until the weekend, when some sort of troughing comes in from the north west. Similar to this week in some ways. Is it consistently wrong though? If that day 5 chart from the ECM verifies then we might as well close this thread as having multiple cut off lows and cold pools in the European locale alone would making getting even remotely close to the correct solution near enough impossible. Will find out tomorrow where the models will go. I will admit that I did expect a backtrack from the GFS to an extent, but it hasn't budged at all.